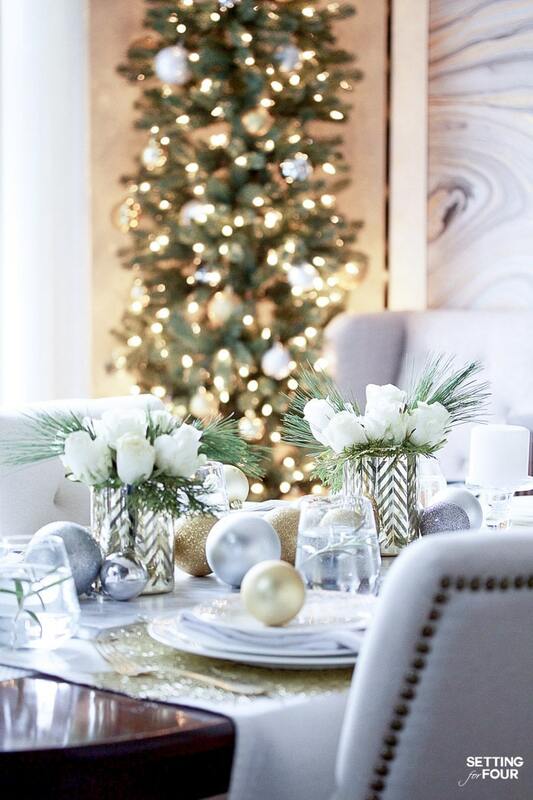 Add festive flair to your holiday table with these 20 Gorgeous Christmas Table Decor Ideas! 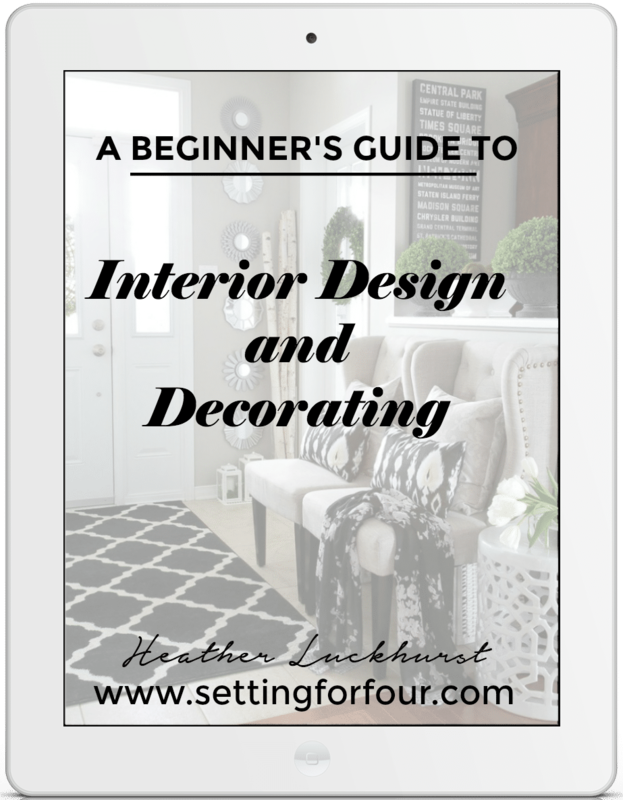 See tablescapes with neutral, red, blue and metallic color palettes. 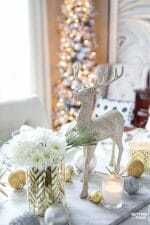 Lots of table decorating tips and ideas using natural greenery, ornaments and flowers too! 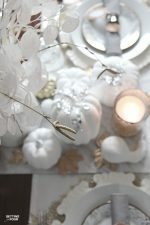 These are perfect table decorating ideas for winter weddings as well! 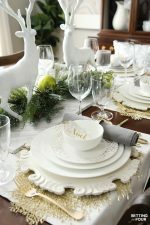 Christmas is around the corner and maybe you are stumped this year on how to make your Christmas dinner table look special for your family. Or maybe you just want to change things up and try something new! 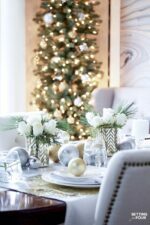 You’ll find lots of table top decorating ideas using pretty holiday patterned dishes, timeless white dishes, centerpiece tips, pine and cedar greenery, eucalyptus, cranberry decor ideas, classic red decor ideas, gold and silver metallic decor tips – even trendy black and white, blue and blush color palette ideas! 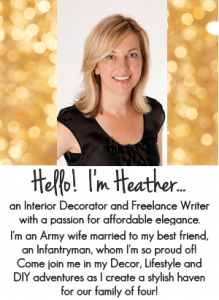 SHOP THE LOOK! CLICK ON EACH IMAGE BELOW TO SHOP EACH ITEM! Which one of the tablescapes below is your favorite?